Hey everyone. With a heavy heart, I am forced to write what I must say today. For those unaware, I played an interesting Golisopod-GX/Zoroark-GX list in Charlotte last weekend. My hopes were high, yet my dreams were crushed. I’ve been advocating for the inclusion of Missing Clover in Zoroark-GX decks since its release, and now I finally had the opportunity to perform well with it and prove my statement. I wasn’t even aware of the connection to St. Patrick’s day until Caleb Gedemer informed me of it during the eternity between Round 1 and 2. I also bought 4 Secret Rare copies between said rounds for the low, low price of $24. 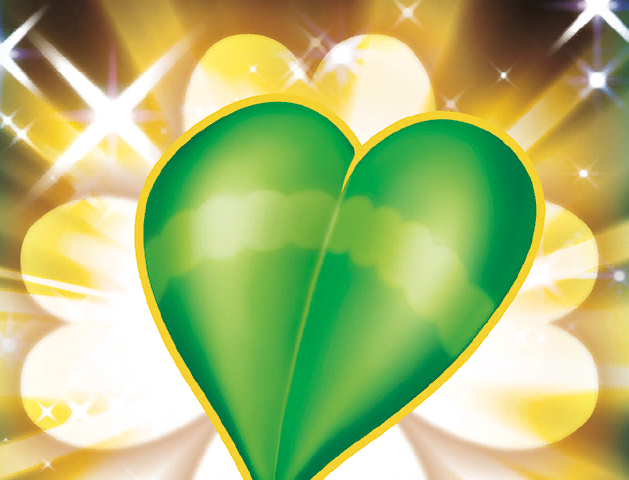 Looking back on the list I played, I wouldn’t change a card (if I were to keep the Missing Clovers). I debated Oranguru UPR vs. 3rd Cynthia and Enhanced Hammer vs. 3rd Wimpod as I sat across from my Round 1 opponent. Ultimately, I feel like I made the best decision in including what I chose. I didn’t pull off the infinite loop with Oranguru often, but I believe it in conjunction with Enhanced Hammer is incredibly strong. The 3 Field Blower was worthwhile in that I had it whenever I wanted to remove Parallel City, excess Tools, or as Trade fodder. The 2-1 Golisopod-GX line was about as strong as I hoped it to be. I managed most of my rounds using Zoroark-GX, with Golisopod-GX as the backup to deal with Lycanroc-GX, Tapu Lele-GX, or against Zoroark-GX/Gardevoir-GX as a non-Fighting weak attacker. Against Greninja, I’d have wished for a thicker Golisopod-GX line so that Acerola can loop efficiently without Tapu Koko. It was also a hindrance against Zoroark-GX/Lycanroc-GX because I’d have to waste Puzzle of Time on Wimpod rather than other vital resources. I played against a plethora of Zoroark-GX decks. Unfortunately, this led to the uselessness of Mewtwo EVO and Mew-EX. I didn’t attack with either of them, but unfortunately started Mew-EX a few times, and sadly lost. My most detrimental starts with it were R1 and R5 because it could be targeted easily by Lycanroc-GX and made useless by Shadow Stitching. Some could say that I got lucky dodging Buzzwole-GX, but I found it more appalling to sit across Greninja. I don’t know how many total were in the room, but it was definitely unlikely to say the least. The match was somewhat close because he started off slow in Game 1 and I drew well off of N. I was overwhelmed in Game 2 while Game 3 was back and forth. One pivotal mistake I made was grabbing 2 Zorua with Brigette on the first turn because I had 2 Zoroark-GX in my opening hand. This may not seem awful, but it prevented me from grabbing Tapu Koko. I never drew into Ultra Ball or a way to search it out, therefore preventing me from Acerola looping a Golisopod-GX. With the 2-1 line, I can’t evolve the 2nd Wimpod on the Bench until promoting it without a Float Stone or Tapu Koko on the board. However, my match was slightly unfortunate because he gave me a turn of Trade and I didn’t find anything useful; a Guzma on that turn would have sealed the game immediately. My Round 1 was lost because of an incredibly slow start and a bad mistake on my part. In the first game, I played Brigette on turn 4. My mistake in the second was that I chose to discard a Wimpod on my Bench rather than a Zoroark-GX. I was scared of getting N’d to 1, which ultimately happened and I missed what I needed. My opponent was able to set up a Lycanroc-GX I couldn’t deal with because of the Parallel City turn and a missed Guzma. My Round 2 tie was pretty sad because I won Game 1 convincingly, but then drew six dead cards off of Cynthia a few turns into Game 2—13 cards including 2 Trades and draws of a few turns. I couldn’t find another attacker to deal with his Weavile when all I needed was a Golisopod GX or Zoroark-GX. I frequently played Golisopod-GX/Zoroark-GX after London IC, but haven’t touched it since aside from last weekend. Back then, the accepted mirror strategy was to run the opponent out of Acerola while taking key turns to Guzma and secure 2 Prizes if the opponent missed it. 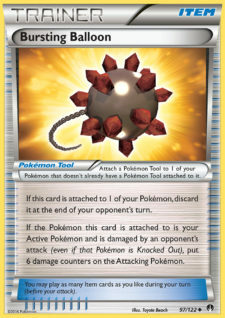 Enhanced Hammer was used too, in order to hope for a turn of a missed attack. Now, the matchup has become more dynamic in the cards that can be played: Parallel City, Oranguru, Sudowoodo + Counter, etc., not to mention the other intricacies against other variants of Zoroark-GX. I’m fortunate to have played against all six types so I can give a tournament perspective of the matchups. Oranguru is insanely good. Frequently, there would be turns where my damage would be inconsequential—Parallel City in effect or if the opponent attacked with Tapu Lele-GX and I can’t OHKO. In these scenarios, I found that using Oranguru to stall for a turn while recovering resources was insanely strong. I would try to Enhanced Hammer twice with Puzzle of Time or put Parallel City into play so that it’s protected, but it’s also good to throw away as an easy Prize. With the recovered Puzzle of Time, Oranguru can easily bring back 3 Acerola or Guzma in order to close out the game. I was convinced by Russell LaParre to add it after he took to Heyfonte to explain it’s uses, but also because I could use it to recycle Missing Clover. If I was forced to Trade one away early on, it would still be possible to take 2 Prizes off of it in the same turn with 4 Missing Clover and 4 Puzzle of Time. An important idea that came up in my matches was trying to figure out whether I was the aggressor or the defender. 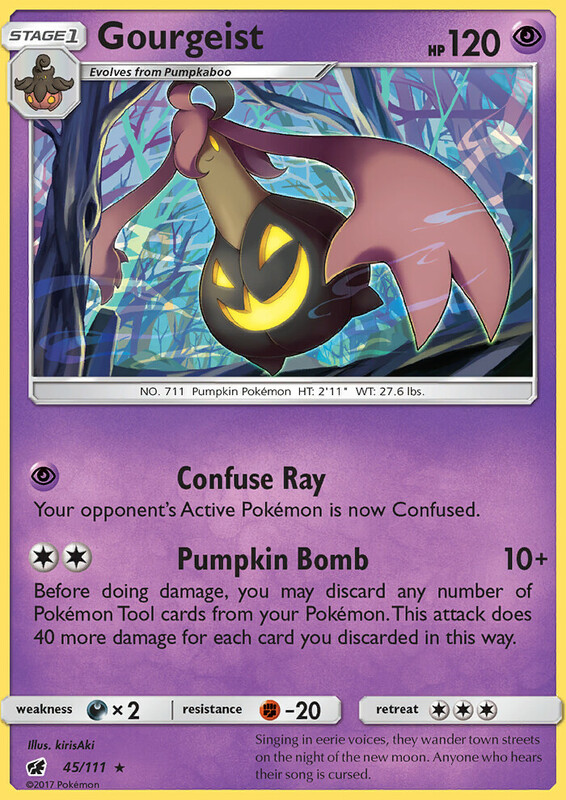 The roles usually switched when there was a threatening Pokémon on the board, like a Ralts, Rockruff with an Energy, Cosmog, Sneasel, or Garbodor BKP. In these scenarios, it was worth it to hold back on an Acerola to eliminate a higher priority threat. Likewise, it’s better to loop Acerola to drag out the game rather than try to overextend and become vulnerable to a late-game N. My loss against Zoroark-GX/Lycanroc-GX came because my opponent used N continously while I focused on using Guzma. Interestingly, none of my opponents used Sudowoodo + Counter Energy. I would’ve expected that after Igor’s list from Collinsville, many people would have adopted it. I’m not a huge fan of it, simply because it’s easy to play around. 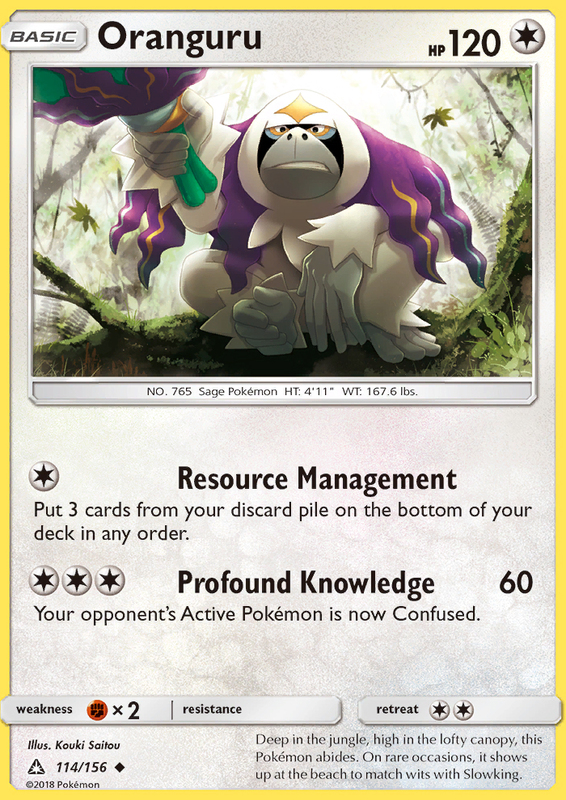 The non-Sudowoodo player can spread with Tapu Koko to set up Prizes for later on in the game rather than take a KO with Zoroark-GX or Guzma a GX Pokémon to set up Prizes rather than take them immediately. Simply put, I don’t think the two cards are more useful than an extra copy of a different mirror card. Enhanced Hammer, Parallel City, and Acerola/Max Potion come to mind. It should make sense why the first two are there, but then it trickles down quite oddly. Zoroark-GX/Garbodor typically runs 2 Enhanced Hammer on the hope of establishing the Garbotoxin Bursting Balloon lock and starving out the opponent. For the same reason, it’s important vs. Zoroark-GX/Golisopod-GX to use a Basic Energy attacker. Those lists also utilize Parallel City, most often to reduce your Bench and limit Zoroark-GX’s damage to 80. Against Zoroark-GX/Weavile, Golisopod-GX may seem good because it doesn’t require an Ability, but it’s a false light in that Wimpod has an Ability. I’d prefer to set up another Zoroark-GX so that I have access to another Trade. Against Zoroark-GX/Solgaleo-GX, there’s no reason to set up Golisopod-GX because that deck will be taking OHKO’s anyways. It’s better to boost the draw engine in hopes of finding the correct cards during important swing turns and thinning the deck. The last comment I want to make is on figuring out what the opponent will do. Determine how they’ll take their final Prizes; plan accordingly to prevent that. Perhaps Parallel City could be used to remove stray Basics like Tapu Koko or Tapu Lele-GX rather than attempting to limit the opponent. The same goes for choosing to N vs. continue the Acerola chain, depending on the number of Zoroark-GX the opponent has in play. The counts of key cards is also important to account for: Oranguru, Enhanced Hammer, Parallel City, and Guzma. Despite only one card becoming legal this weekend, Lucario-GX, I think that it’ll have a big impact on the meta. Immediately, Lucario-GX can pair with Zoroark-GX to improve the mirror match drastically. It can also hit 170 damage easily with Strong Energy and Choice Band, not to mention 190 with Professor Kukui. One thing I’m scared of with a Zoroark-GX/Lucario-GX deck is that it can’t effectively deal with Lycanroc-GX. Golisopod-GX is great for removing a Lycanroc-GX with an Energy, but Lucario-GX is unable to do that. I worry that this variant of Zoroark-GX will lose to Buzzwole-GX/Lycanroc-GX very easily and Zoroark-GX/Lycanroc-GX. This list is more similar to my Golisopod-GX/Zoroark-GX list than the one I put out last week. I found that my list ran really smoothly, so I decided to echo the same engine in this. Notably, there’s a 3-2 Lucario-GX line, a Max Potion, more Energy, and a Professor Sycamore. Buzzwole-GX replaced Tapu Koko SM31 as the spread Pokémon of choice. Consequently, there’s a 2nd Float Stone due to the lack of a free Retreat Pokémon. Minor counts have been adjusted to shape the list to the nature of Lucario-GX than Golisopod-GX. The 4th Guzma was swapped for a Professor Kukui in order to hit better numbers. Aside from these small changes, the skeleton of Zoroark-GX/*insert Pokémon here* remains intact. The comparisons are all pretty major, about 10% or more depending on which it is. For my matchups, Lucario-GX would have been much stronger, but in looking at the top decks, Golisopod-GX would be superior against Buzzwole-GX/Lycanroc-GX and Greninja. I think Lucario-GX/Octillery/others might be viable, but I haven’t put any thought or time into it. I’ve had to make many sad cuts since Collinsville. The changes are largely in part because of a meta shift. I’ve joined everyone on the train of 3 Tapu Lele-GX because I respect it’s capabilities as an X Ball attacker and Wonder Tag, obviously. My previous logical thinking was that Garbotoxin will be up anyways, and therefore another Supporter would be better allocated. The rise in Field Blower counts in Zoroark-GX decks means that Garbotoxin will be shut off more often, and Tapu Lele-GX online. 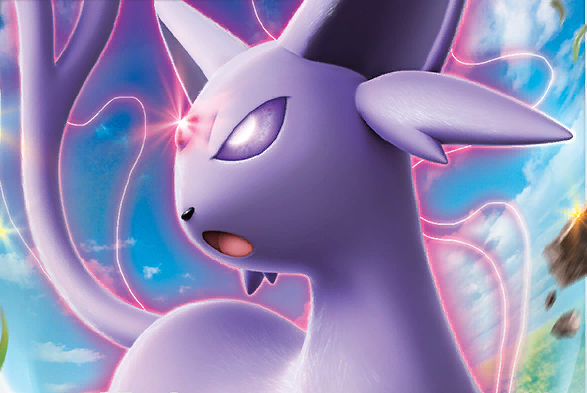 Another Pokémon change I made was cutting Espeon-EX; it was a dead card for me even against Greninja or Zoroark-GX. The math works out with Tauros-GX to devolve a Zoroark-GX, but it’s almost always more efficient to keep attacking and potentially take the extra Prize. Stage 2 decks are extinct now, too. 4 N -> Better hand refresh against Zoroark-GX; also because Pal Pad was cut. I’ll continue to test the list and fully determine if the changes are worth it. One thing I’m worried about is the cut in consistency, but I also realize that there was an excess of Supporters before. I only had 2-3 dead hands in all of the tournament in Collinsville with 11 draw Supporters, 2 Tapu Lele-GX, and a Pal Pad; now there are 10 draw Supporters and 3 Tapu Lele-GX. I don’t think this will change the consistency drastically, but may provide an extra bump or two in the middle of a game. My rationale for Espeon-GX/Garbodor again is the heavy Buzzwole-GX format and impending release of Lucario-GX. Greninja is also a good matchup with Tauros and 2 Parallel City. My one concern is that decks teching for Buzzwole-GX become stronger against Espeon-GX/Garbodor as well, since both share the same Weakness. Oricorio GRI 56 is a great counter to both and may even make its way into my list! I played it last year in both Mexico and Anaheim to strong finishes because of its spreading capability and strength in the mirror. This list is not meant to deal with Garbotoxin, but also doesn’t immediately lose to it. Gourgeist as a one Prize attacker is very strong and can deal with their attackers pretty easily. Plus, I think a Guzma KO on Garbotoxin is very easy because it only requires one Tool. The new adaptations to the list are made with the current meta in mind, sans Greninja. The Klefki version of this deck will almost always lose to Greninja because this version relies on recycling them, hence it is reliant on Abilities. With more Tools in place of Klefki and Giratina XY184, I think that might have a chance. Interestingly, Bent Spoon may also be worth running to prevent Shadow Stitching from shutting off specific Pokémon. For example, I’d throw one onto Octillery and leave it there for N protection. Po Town is also good for potentially dealing enough damage combined with Tapu Koko to save the amount of Tools discarded. I choose to run 2 Po Town instead of 2 Field Blower on the off-chance that I strike an Evolution with 30 damage. The main purpose of both of them is to remove Parallel City. 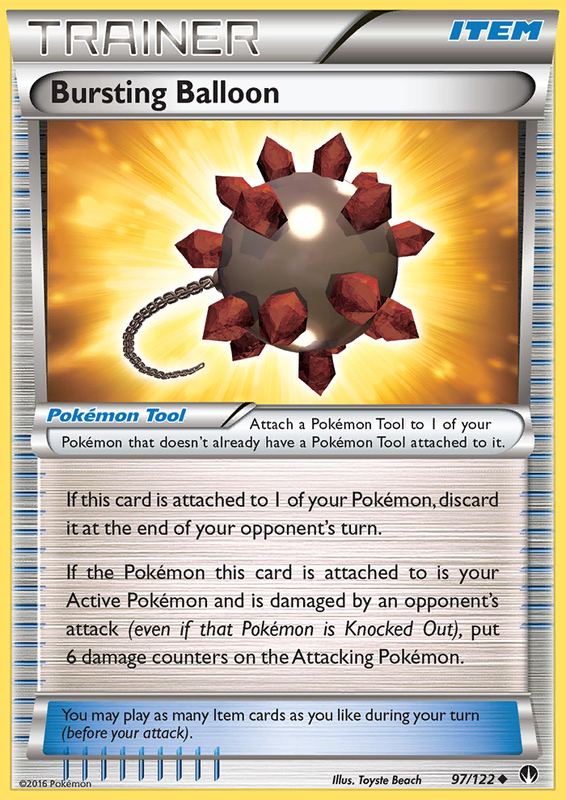 If Zoroark-GX gets tagged by it, then only 5 Tools are necessary to be discarded. As for Escape Board, I see it as an extra 4 copies of Float Stone that only work on specific Pokémon. Because the Tools are going to be discarded immediately, there are very few that actually have an effect. Choice Band isn’t very good in this deck either because whenever it’s saved, the Gourgeist is usually being KO’d anyways. It would almost be more beneficial to run Bent Spoon, Bursting Balloon, Assault Vest, or Bodybuilding Dumbbells. Of these 4, I think Bursting Balloon has the most potential because it can contribute more damage than if the Tool was discarded. Unless I’m certain that my Gourgeist will survive through the use of Bodybuilding Dumbbells or Assault Vest, it’s better to discard the Active Tool and leave one on the Bench. While I’m sad I was unable to make Day 2 with Missing Clover, I feel accomplished in that I was close. If I was able to replay the tournament, I’d probably keep the Missing Clover anyways. If nothing else, it was fun to put my bold predictions to the test—to live or die by them. I stand by my statement that it may be good eventually, but now is not that time. 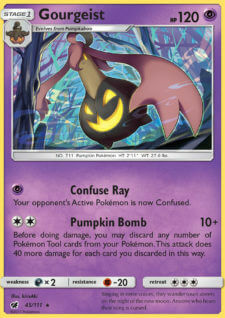 Other tech cards to shore up specific matchups are more influential than the hopes of taking a free Prize. Looking at Portland, I think that a Psychic deck will be a good choice. I’m worried to play Zoroark-GX/Golisopod-GX because any Lucario-GX will roll through me. Buzzwole-GX/Lycanroc-GX will continue to dominate, so I’m also scared to play a deck that can’t effectively deal with that. Don’t be surprised if I return to Espeon-GX/Garbodor or Gourgeist, two Psychic decks I think are strong if it hits the right matchups. I think Gourgeist is the one deck that can easily roll over Buzzwole-GX/Lycanroc-GX, at least 75-25, while Espeon-GX is less easy. Regardless, both are good choices with enough practice in strategy and sequencing. See you all in Portland!